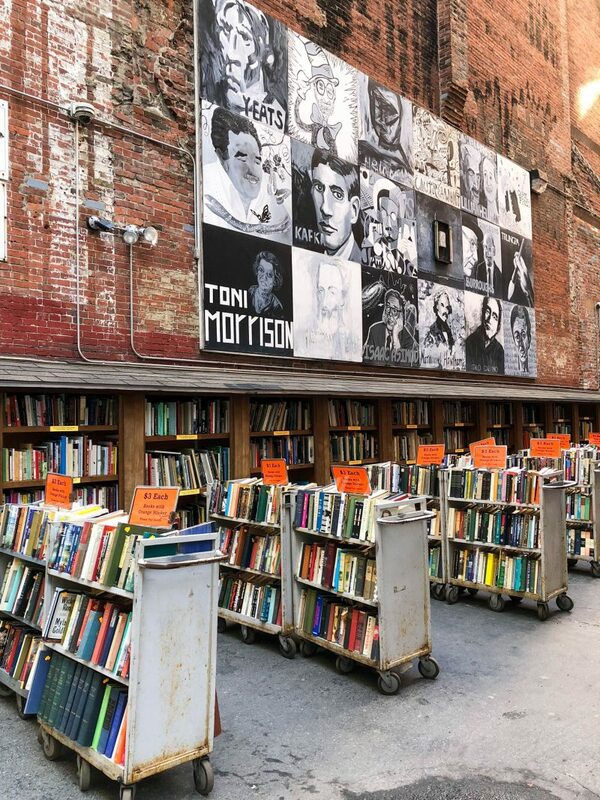 How much do you love this pic of the Brattle Bookshop in downtown Boston? I love visiting unique bookstores when I travel and it makes me so happy to have this one right here in my city- and actually pretty close to my office too. Am I the only one who loves bookstores or are there some other bookstore lovers out there too? To spare you from any more book store talk… here’s what I’ve been reading (some YA books and one mom-to-be book), watching (my fave Oscar nom so far) and listening to (another great true crime podcast) this past month. As always would love for you to share your recs in the comments below! The Hate U Give– This book was really powerful- especially for a book that I think is classified as “young adult”. The Hate U Give is the story of Starr, an African American teenager who lives a double life of sorts between her home in a poor neighborhood and the mainly white prep school her parents send her to an hour away. Things get more complicated for Starr after she witnesses her childhood best friend get fatally shot by a police officer. This book touched on so many important and relevant topics while being beautifully written. Bringing Up Bebe– This is my first “parenting” read and this one is really well written. It is more written as the story of a woman who lives, gets pregnant and has her children in Paris which made it an easy read. I’ll let you know how successful I am at implementing some of the tips as time goes on, but it was a good first mom-to-be read I think. The Marvelous Mrs. Maisel– I had been wanting to watch this show on Prime for a little bit and am SO glad I did. First off, it is set in NYC in the 1950’s and I love seeing the city in that era, plus the fashion/costume design is amazing. It is a total feel good, girl power type show about Mrs. Maisel and her secret talent for stand-up comedy. I absolutely love her! Great girlie show to binge. Three Billboards Outside Ebbing, Missouri– We watched this movie a few nights ago and oh my gosh was it good! Intense, but so good! After all the Oscars buzz, you probably already know the premise- but after her daughter is brutally raped and killed, a mother puts up three billboards calling out the local police department for not solving the crime. The story unfolds from there and there are a bunch of interesting characters. Sam Rockwell who won the Oscar for Best Supporting Actor for his performance is absolutely amazing. Would definitely recommend renting this one for your next movie night. Atlanta Monster– You already know I’m a fan of Payne Lindsay’s true crime podcasts after my obsession with “Up & Vanished” (a must listen to! ), so I was excited for his new series Atlanta Monster. The podcast is exploring the Atlanta child murders, the more than 30 kids (exact number isn’t known!) who went missing and were murdered in Atlanta in the 70’s-80’s. If you like true crime shows or podcasts, this one is really good! What are you all reading, watching and listening to this month?